Moving blankets are great for protecting large items but, there are specialist items that need more special care when you are moving them. We would also recommend to tape lengths of cardboard for added protection of tops and face sides of these items. Cabinets come in all shapes, sizes and configuration ranging from wall mounted, sliding, wooden or kitchen cabinets. After carefully packing all your precious items check to see if your cabinet comes apart into separate pieces. If it does by all means take it apart. If you can’t DIY – your removals company probably offers this service free of charge. Remember the less space cabinets take the more of them you can fit into the truck. 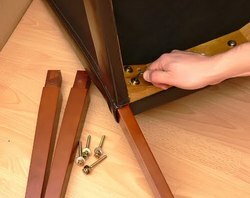 Unscrew it carefully and place the screws into a small plastic bag and sellotape it to the inside of the cabinet. Hopefully they won’t get lost in the move. Tables – large or small, glass or wooden, square or rectangular, oval or circular. Whatever the configuration of your table is your better off at very least removing its legs. Removing glass or hard wood tops and wrapping them individually will help too. Be sure to wrap everything for added protection. Ensure that you know where you are placing the piano on arrival if you are taking it with you it’s less of a headache later on. You will need blankets, piano dolly, piano board and a hand cart. Make sure that they are door to door. Do not let the movers remove the keyboard, this can effect the piano’s tuning and you will have to get it retuned. It’s called Keyboarding. The keyboard lid should be locked. Even though you have sorted out your insurance by now ensure that the piano movers have their own insurance just in case of any mishaps. Larger pianos such as Baby Grand and Grand pianos are moving by fitting a skid board underneath and strapping it with strong webbing. You can remove the pedals and close the lid. 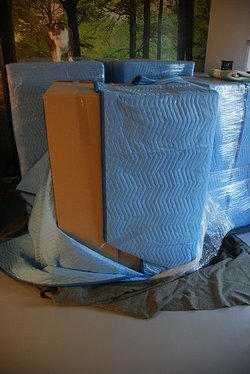 Wrapped in moving blankets to protect it from scratching and take a look at our Moving a Piano article. 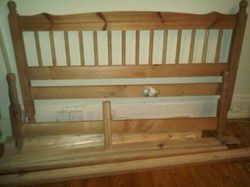 You will need to take the beds apart unless you sleep on a cot. Be sure you know which way they reassemble later. Again if you can’t DIY – your removals company probably offers this service free of charge. Put all the screws, nuts and bolts into a small plastic bag and tape to the head board. Wrap the head and foot boards.